Updates to the government’s Energy Company Obligation (ECO) scheme mean that even more people in the UK could be eligible to receive a boiler grant. The changes came into effect on the 1st April 2015 and will continue to help households on lower incomes and those receiving certain benefits until the scheme ends in 2018. Funding for the ECO scheme does not actually come from the government, but some of the main energy providers in the UK, including the big 6. The programme creates a legal obligation for these suppliers to improve the energy efficiency of households across the country. You can visit Boiler Grants to learn more about the ECO scheme. The Big 6 energy providers dominate the UK market and are made up of British Gas, Npower, SSE, Scottish Power, E.ON and EDF. There are also additional energy suppliers who are a part of the ECO scheme. If you don’t receive your energy from one of the big 6, not to worry! As long as you are a domestic energy user in England, Wales or Scotland and you meet the eligibility criteria, one of the obligated energy suppliers can carry out the work regardless of which energy company you are with. The criteria for the ECO scheme has changed since this launch of ECO2 and even more households could now be eligible. 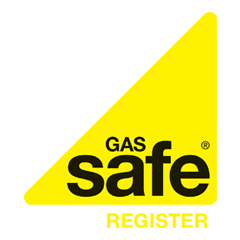 It is also important to note that funding has become quite limited for gas boilers, so Boiler Grants may not be able to put you in touch with an installer at this time. Oil and LPG grant funding is unaffected. As long as you own your own home or you are a tenant living in privately rented accommodation (and you have your landlord’s permission) you might be eligible for a boiler grant to replace your old boiler. Am I Eligible for ECO2? The great news is that the updates made to ECO mean even more people might qualify for a boiler grant. It is important to note that the grant may not cover the entire cost of a boiler replacement and many recipients are asked to make a contribution towards their new boiler. We’ve outlined the criteria below, but you can visit Boiler Grants for full ECO scheme eligibility criteria. How Do I Apply for the ECO Boiler Grant? If you think that you fit the eligibility criteria, fill out the simple application form on Boiler Grants and one of our friendly advisors will give you a call.